Police have renewed their appeal for information to help trace a teenage boy last seen heading off to play rugby at the weekend. 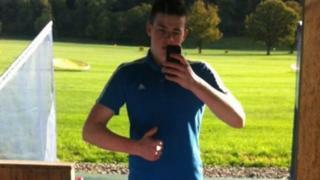 David Ormerod, 15, of Closeburn, near Thornhill, left the village at 12:00 on Sunday, heading to Dumfries. Police Scotland said he had not been seen since. He is described as 5ft 10in tall, of slim build with a Newcastle accent. He has links to Dumfries, Newcastle, Thornhill and Cumbernauld.